Krispy Kreme will once again be celebrating National Donut Day on Friday, June 2, 2017, by giving out free donuts. 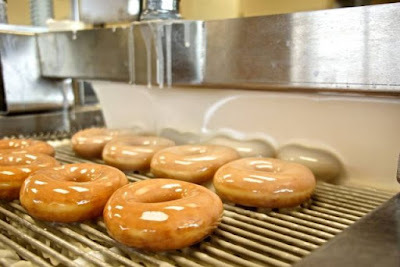 On the day, you can walk into participating locations in the US and Canada and pick a free donut of your choice from the available selection. If you're looking to try something new, the chain's latest, limited-time donut is the Sea Salt Caramel Donut made with Ghiradelli. The promotion is a yearly event for the donut chain.